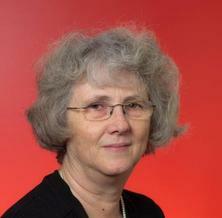 Professor Caroline Crosthwaite BE(Hons), MEngSt (UQ), MSc. (JCU). Associate Dean (Academic) Faculty of Engineering, Architecture & Information Technology, University of Queensland. Caroline is a chemical engineer with over 30 years’ experience in engineering education and curriculum innovation. She has been involved in teaching, curriculum design and the development of student centred learning practices in engineering. She has published widely on project centred engineering education and has won UQ and national AAUT and AAEE awards for enhancement of student learning. Through the Associate Dean role Caroline champions teaching and learning innovation and development and active learning. Recent projects include the implementation of the Engineers without Borders National Design Challenge as part of the first year core engineering curriculum at UQ, and the development of Immersive Learning Environments in engineering using Virtual Reality . Caroline led the has recently completed Office of Learning & Teaching sponsored evaluation in 13 Australasian universities on the adoption of the Engineers Without Borders (EWB) Challenge projects into first-year curricula as a model for widespread curriculum renewal in engineering education. Caroline has also led national work by the Australian Council of Engineering Deans and other engineering organisations investigating attrition and retention in Bachelor of Engineering degrees in Australia. She consults nationally and internationally on engineering education and curriculum redesign which includes work with IChemE in Malaysia, Imperial College London and Purdue University USA. Crosthwaite, C. A. and Churchward, G. (2000) Reflections on a Residential Orientation Program. Australasian. Journal of Engineering Education, 9 1: 39-45. Optimizing retention in engineering education: What are realistic targets for diverse institutions? Godfrey, Elizabeth, Crosthwaite, Caroline and King, Robin (2010). Optimizing retention in engineering education: What are realistic targets for diverse institutions?. In: 9th Annual ASEE Global Colloquium on Engineering Education, Singapore, Singapore, (). 18-21 October 2010. Crosthwaite, Caroline, Jolly, Lesley and Brown, Lizzie (2009). A program logic approach to evaluating educational innovations. In: Proceedings of the Research in Engineering Education Symposium 2009. REES 2009: The 2009 Research in Engineering Education Symposium, Palm Cove, QLD, Australia, (). 20-23 July 2009. Jolly, Lesley, Crosthwaite, Caroline and Brown, Lizzie (2009). Building on strength, understanding weakness: Realistic evaluation and program review. In: Colin Kestell, Steven Grainger and John Cheung, Proceedings of the 20th Annual Conference for the Australasian Association for Engineering Education: Engineering the Curriculum. AAEE09: 20th Annual Conference for the Australasian Association for Engineering Education, Adelaide, SA, Australia, (911-917). 6-9 December 2009. Crosthwaite, C. A. (2003). An early introduction to simulation in a process systems analysis course. In: AIChE, AIChE '03 Annual Meeting. AIChE '03 Annual Meeting, Hilton Hotel, San Francisco, USA, (1-1). 16-21 November 2003. Crosthwaite, C. A. and Simmons, J. M. (2003). Curriculum Diversity in a Common First Year. In: A Brown, 14th Annual AAEE Conference. 14th Annual AAEE Conference, Melbourne, Victoria, (369-374). 29 September - 1 October 2003. Crosthwaite, C. A., Humphries, J., Jolly, L. and Radcliffe, D. F. (2003). Starting to Belong: an O-Week Introduction to Engineering & Sustainability. In: A Brown, 14th Annual AAEE Conference. 14th Annual AAEE Conference, Melbourne, Victoria, (103-108). 29 September - 1 October 2003. Radcliffe, D. F., Crosthwaite, C. A. and Jolly, L. (2002). Catalyzing cultural change in a research intensive University. In: Jakubowski and Gerald S., Proceedings of the 2002 American Society for Engineering Education Annual Conference & Exposition. 2002 American Society for Engineering Education Annual Conference & Exposition, Montreal, Quebec, Canada, (1-7). Jun1 16-19, 2002. Jolly, L., Radcliffe, D., Crosthwaite, Caroline Anne and Humphries, J. (2002). Implementing Graduate Attributes. In: 13th Annual Conference and Convention Australian Association of Engineering Education, Canberra, Australia, (). 30 September - 2 October 2002. Jolly, L., Crosthwaite, C. A. and Radcliffe, D. F. (2002). Undergraduate student perceptions of engineering. In: G. Burrowes, P. Roberts, M. Pettigrove, K. Shankar and A. Whichello, 13th Annual Conference for Australasian Association for Engineering Education and 8th Australasian Women in Engineering Forum. 13th Annual Conference for Australasian Association for Enginm, Canberra, (165-170). 30 September - 2 October. Written Communication Skills - A Graduate Outcome of Process Engineering Education? Rounsefell, B., Crosthwaite, C. A. and Petelin, R. M. (2002). Written Communication Skills - A Graduate Outcome of Process Engineering Education?. In: K. Shanker and G. Burrowes, 13th Annual Conference for Australasian Association for Engineering Education and 8th Australasian Women in Engineering Forum. Leadership in Learning: Learning in Leadership, Rydges Canberra, ACT, (101-105). 30/09/02 - 02/20/02.